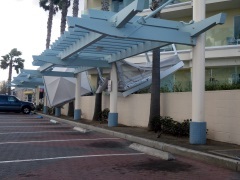 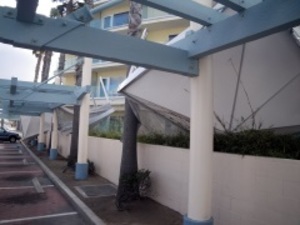 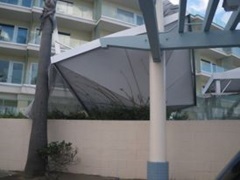 Major overnight Winds, Leave damage to Pier South and IB Community. 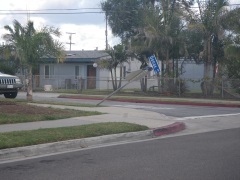 Lots of items down throughout community and lots of cleanup and repair to be done. 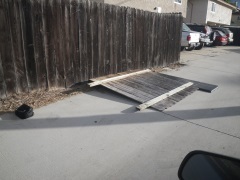 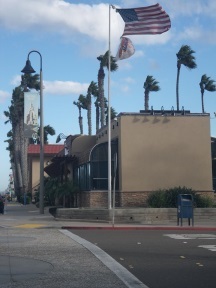 he took this pictures and reported in that there are lots of items down and lots of cleanup to be done after a major overnight wind storm left damage to Pier South and other parts of the Imperial Beach Community.